The Nuaire Drimaster range has been curing severe condensation problems for over 20 years in some of the worst affected properties throughout the world. Its successful operation depends entirely upon the unit being installed strictly in accordance with these instructions. step to ensure a satisfactory completion. Average approximately 0.16 watts / litre / second and solar gains up to 550kW / hr / year. Filter clean or replacement every 5 years. 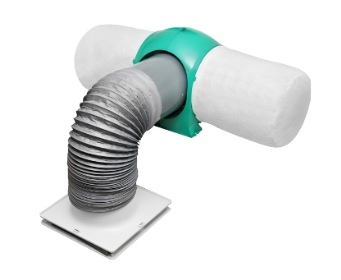 Using positive input ventilation removes indoor air pollutants such as carbon monoxide and keeps out traffic fumes, pollen and outdoor pollutants. Meets Part F&L England and Wales and contributes towards ‘conservation of fuel and power’. (Please refer to BBACertificate). 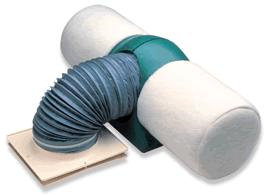 Helps reduce and maintain radon gas levels. 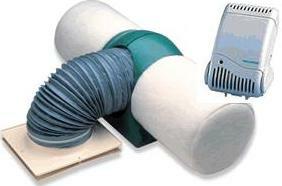 High efficiency G4 filters removes up to 95% dust particles. Fully automatic when airflow set on installation. white finish (RAL 9003). Product code Drimaster-3S. For summer months when loft temperature exceeds 23ºC. Clinically proven to help allergy and asthma sufferers. 5 year warranty for peace of mind.